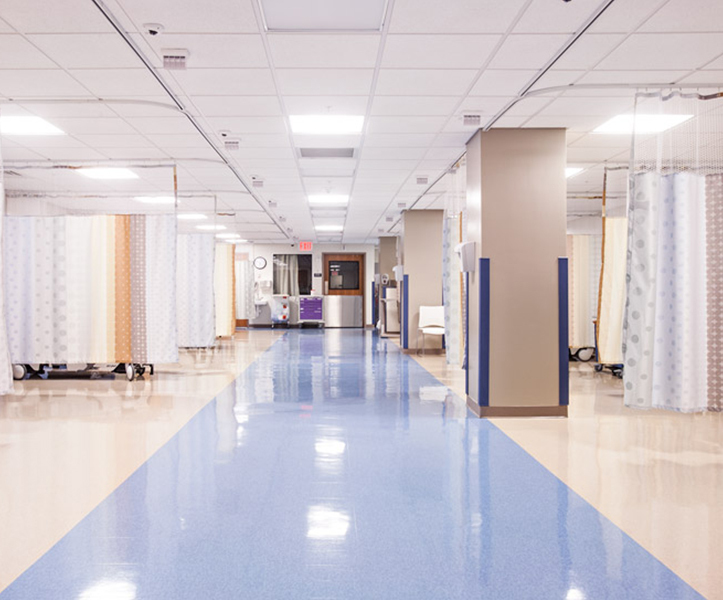 Hospital curtain cleaning plays a role in the accomplishment of each one of these goals as well as several others that might have been outlined by your organization – but is there an optimal schedule for curtain cleaning? Different cleaning schedules are implemented according to curtain material and use patterns. For instance, freshly laundered curtains should be hung immediately if an immunosuppressed patient will be occupying a particular cubicle. Privacy curtains should be removed immediately and replaced with clean ones if a patient cared for under isolation procedures has left. Non-porous curtains, such as those made of plastic, should be part of daily cleaning procedures because the edges can be regarded as a high-touch area. Curtains should also be cleaned if there is any visible dirt or soil on them; terminal cleaning processes can be implemented if the area has been occupied by a patient on droplet or contact precautions. We can tell you all about the different fabrics and materials our curtains are made of; this will help you develop optimal cleaning procedures relevant to your needs. Contact us today with any questions.